Ever since H J Pinczewski and Co. Chartered Certified Accountants was established back over 34 years ago we have worked hard in ensuring that our clients receive the best possible financial advice and assistance available to suit your requirements. 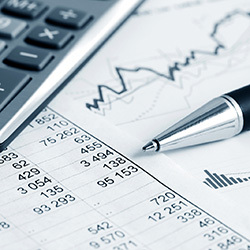 We specialise in general accounting and payroll service and can help small to medium sized businesses with everything from VAT and CIS returns. No request is too much for us to take on, so if you need help with your company accounts, we are just a phone call away. We are fully experienced in taking on all VAT assessments from sole traders as well as larger limited companies and partnerships. We welcome all commercial and private enquiries and regardless of your situation we are confident in our ability to provide you with the ideal financial advice and solutions to meet your requirements. We are based in Manchester and can cover clients from all over Greater Manchester for your convenience. To arrange a consultation with our team, do not hesitate to contact us by calling the number to the top of the screen, or by sending us an email using the handy form found on our Contact Us page and we will get back to you as soon as we can.